Spagna (born Ivana Spagna, in Italy) started her career singing in English, and her first dance song "Easy Lady" (1986) was a hit throughout Europe. In 1987 she released her second successful hit, "Call Me". It ranked 1st in the European Top Chart, hit Number Two in the UK singles chart (and it is still the highest position ever achieved by an Italian singer in the UK), and made #13 in the Billboard Dance Chart. The same year her first album, featuring the two singles, was released. Dedicated To The Moon sold 500,000 copies, and won an international prize for having been the best-selling album on Compact Disc that year. After a dance-rock album, You Are My Energy, and one more minor hit in the UK chart ("Every Girl and Boy"), by 1990 Spagna, supported by Sony Music, moved to the USA. She lived in Santa Monica, working on her new disco-pop album No Way Out. This collection featured a song written by Diane Warren ("There's A Love"), and the two singles which released in the USA - "Love At First Sight" and "Only Words". 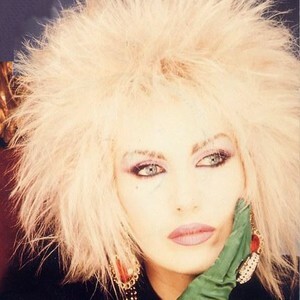 In 1993 Spagna moved back to Europe again, and recorded Matter Of Time, considered by many her best album, featuring new eurodance rhythms and ballads. In 1995, after the release of her last European hit ("Lady Madonna") as a single, she started singing in her native Italian. She took part several times in the Sanremo Festival, the most important Italian song-contest, ranking 3rd with the song "Gente Come Noi", which became the biggest hit of the year in Italy. From that year onwards, Spagna released many successful albums sung in Italian, until 2003, when she left Sony Music in order to sing in English again. She joined an independent Swiss record label (B&G), and recorded Woman, a dance-pop album featuring eight new songs in English, a couple in Spanish and one in French. In 2004 a new remixed version of "Easy Lady" was released, and played by radio stations throughout Europe. Spagna's fourteen albums have sold a total of 10 million copies worldwide. In February 2006 she took part in the Sanremo song contest, with the song "Noi Non Possiamo Cambiare", and in May 2006 ranked 3rd in the Italian reality show "Music Farm".